If you’ve decided to take a Miami boat rental for a trip down to Key West you’re in for a treat! Grab the helm and coast along aquamarine waters with a cool breeze in your hair. Taking a yacht rental from Miami to Key West can take some time so we scoped out our favorite restaurants along the infamous coastal route for when you get hungry. Come along for the ride as we eat our way from Miami to Key West! 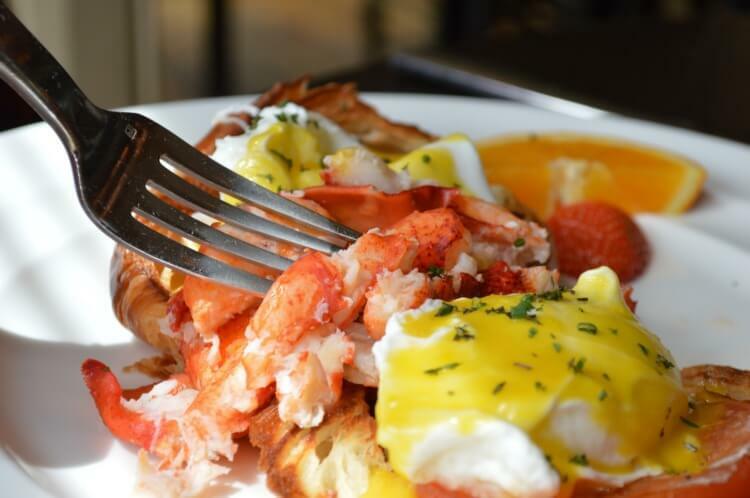 Before departing for your journey on a yacht rental from Miami, head to Peacock Garden Bistro in Coconut Grove for a mouth watering brunch on Saturday or Sunday. Sip your orange juice amongst the lush tropical garden and enjoy fresh salmon benedict. Leave the tropical garden behind with full bellies for your adventure on a Miami boat rental! 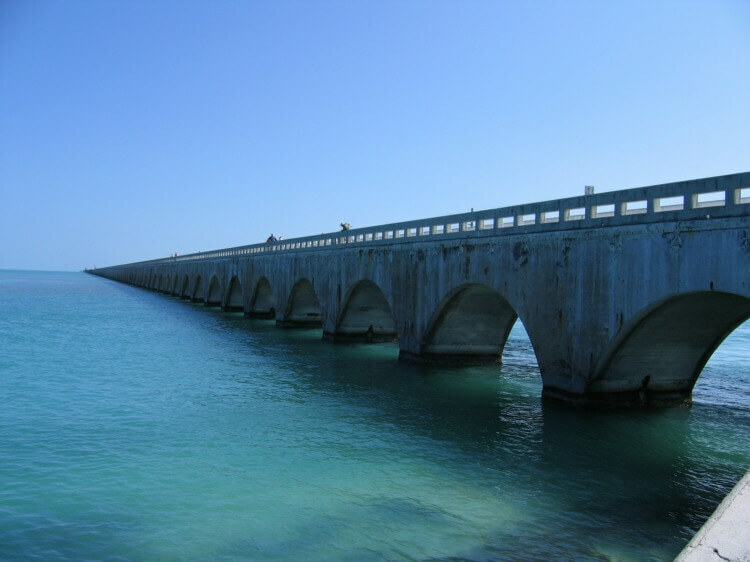 Once you round the tip of the Florida mainland and enter the enchanting land of the Florida Keys, make way for Lazy Days on Islamorada for lunch. After a long morning in the sun on your Miami boat rental, anchor near Lazy Days and enjoy a variety of fresh seafood. Whether you munch on the delectable lazy conch or coconut shrimp the oceanside views from this spot will quench your senses. But don’t let the lazy vibes of the restaurant take over you, we have more to explore as we make way to Key West on yacht charters! If you’re itching for an afternoon snack, stop by the 7 Mile Grill in Marathon. Located just before the start to the infamous 7 Mile Bridge, enjoy the delicious key lime at this laid back establishment. If you happen to catch a fish along the way, haul it over to the 7 Mile Grill where the chefs can prepare a mouthwatering delight! Be sure to make a stop at this Florida Keys establishment since the 1950’s during your journey to Key West on a yacht charter. If you’re lucky, you might get to meet the parrot that spends his days on the dock! 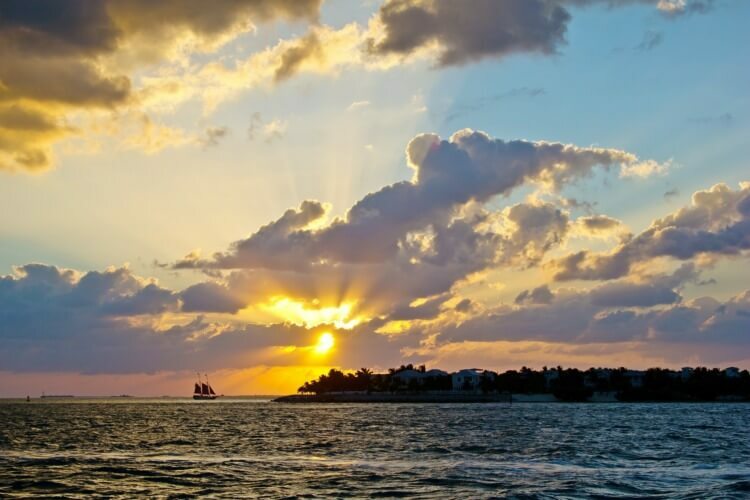 You’ve made it to Key West just in time for sunset! Whether you decide to have a cocktail on catamaran rentals in Key West or you’re itching for some more seafood, the enchanting colorful yet laid back ambiance will instantly transport you to relaxation. We recommend stopping at the restaurant Louie’s Backyard for a waterfront dinner. Enjoy watching the sun dip below the horizon as you sip a key lime mojito and dig your fork into the fresh catch of the day. No matter what you do from you catamaran rentals in Key West, you are sure to make memories to last a lifetime! Planning to go sailing in South Florida? 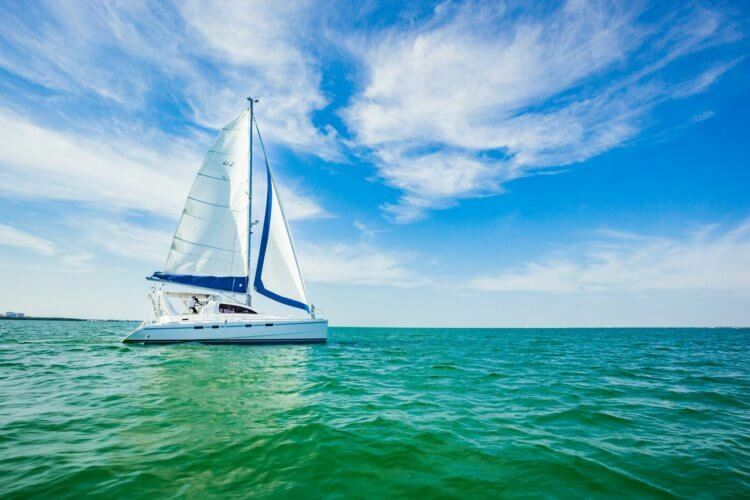 Check out our complete sailing guide here including the most popular boating destinations in the area!